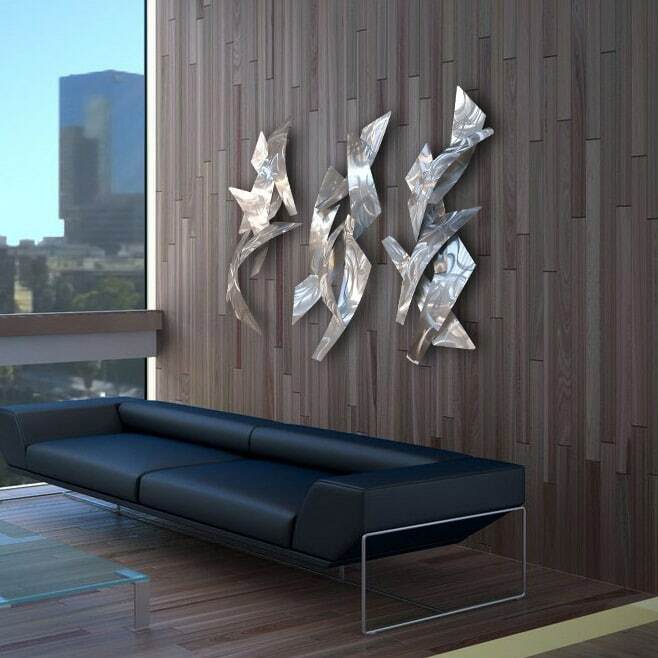 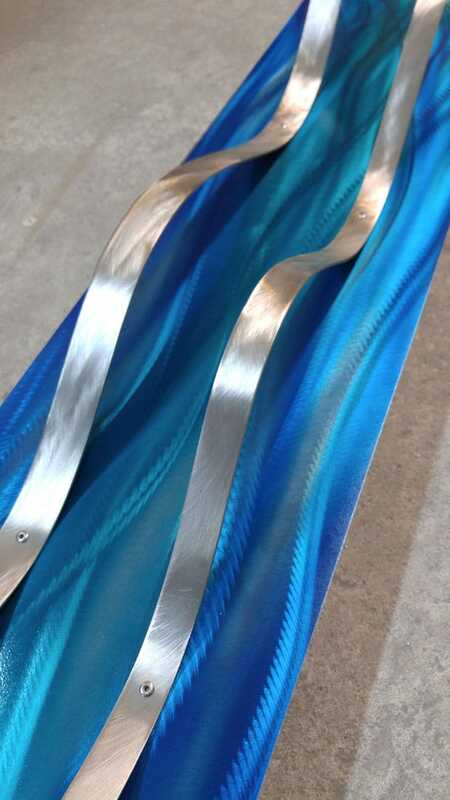 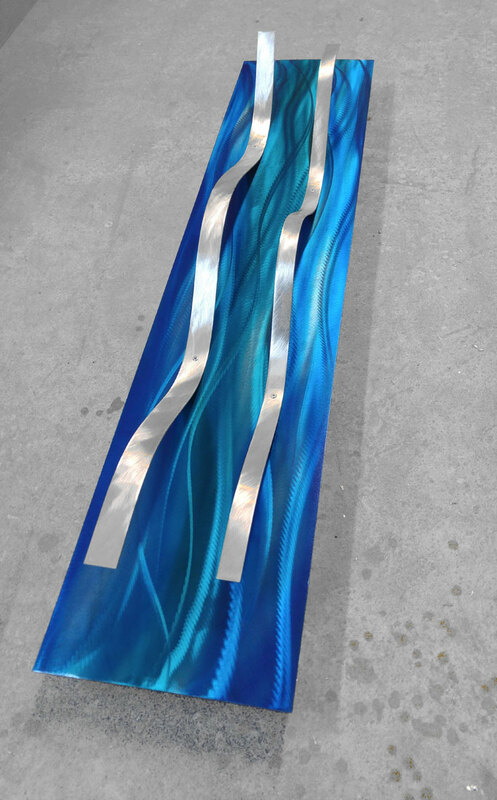 3 Tides is a set of 3 blue metal wall sculptures that are made from high quality corrosion resistant aluminum. 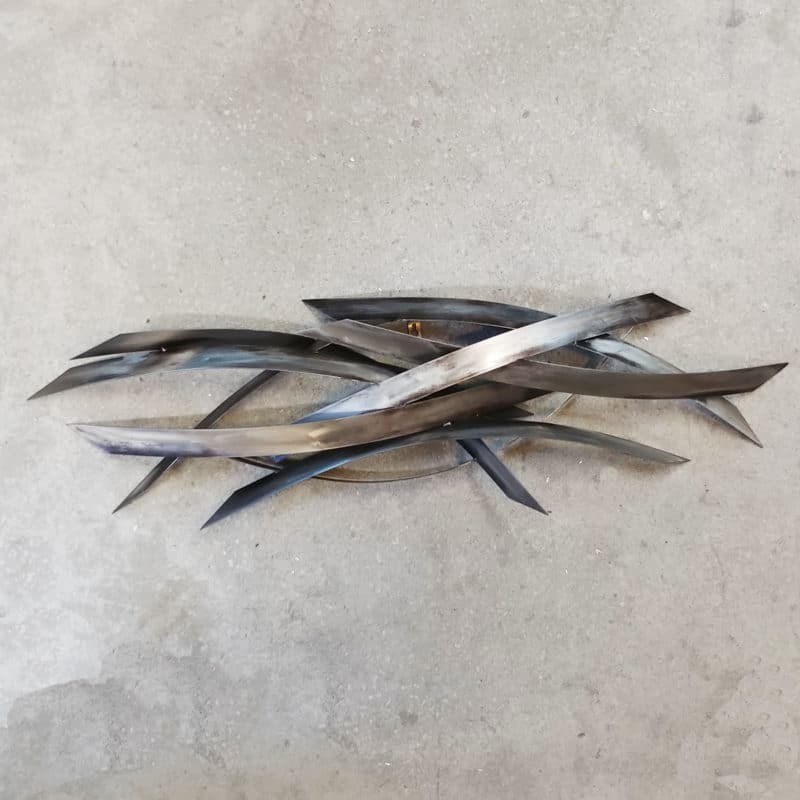 These uniquely textured sculptures contain metal pieces that curve off of the surface. 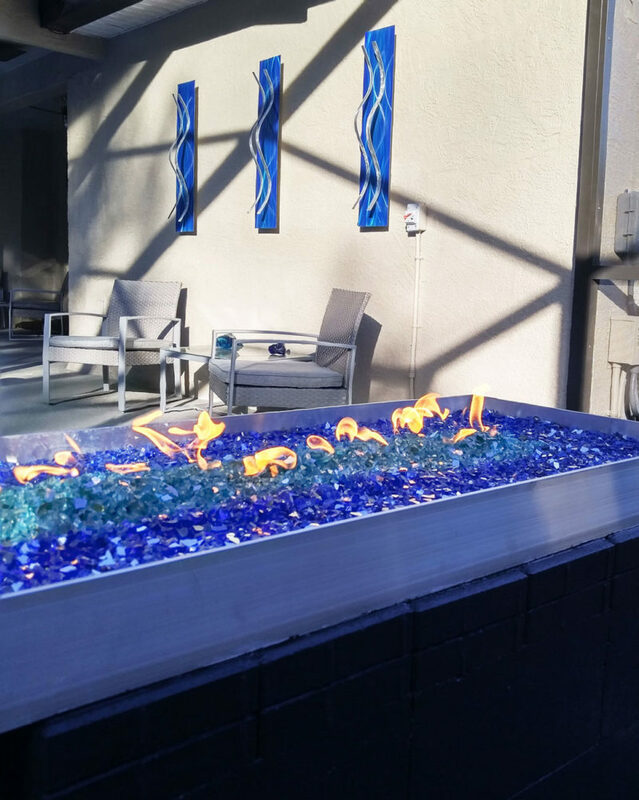 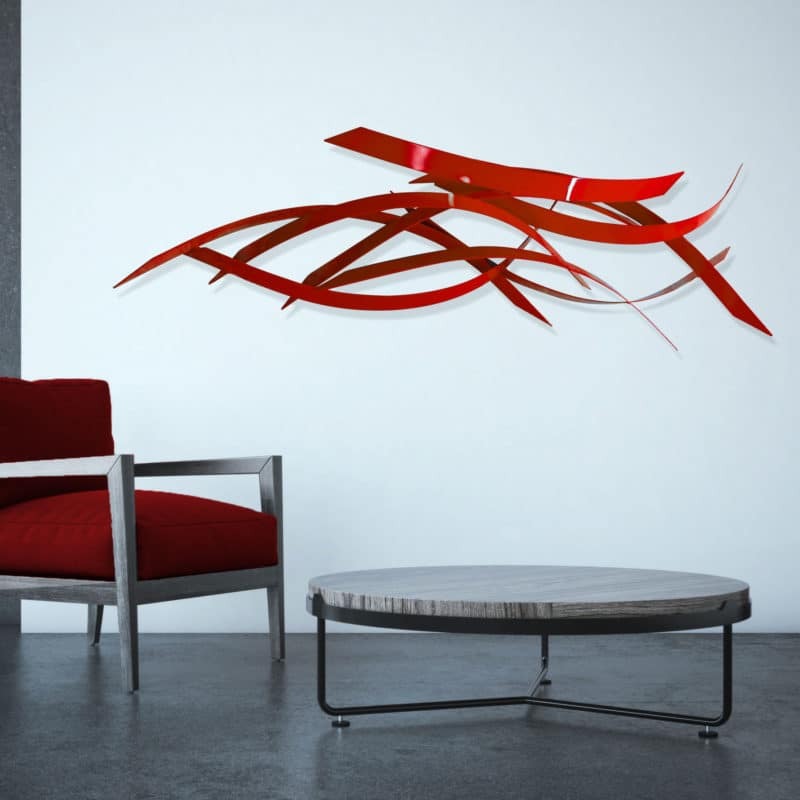 Additionally, the panels also float off of the wall surface 2 inches for even more dimension. 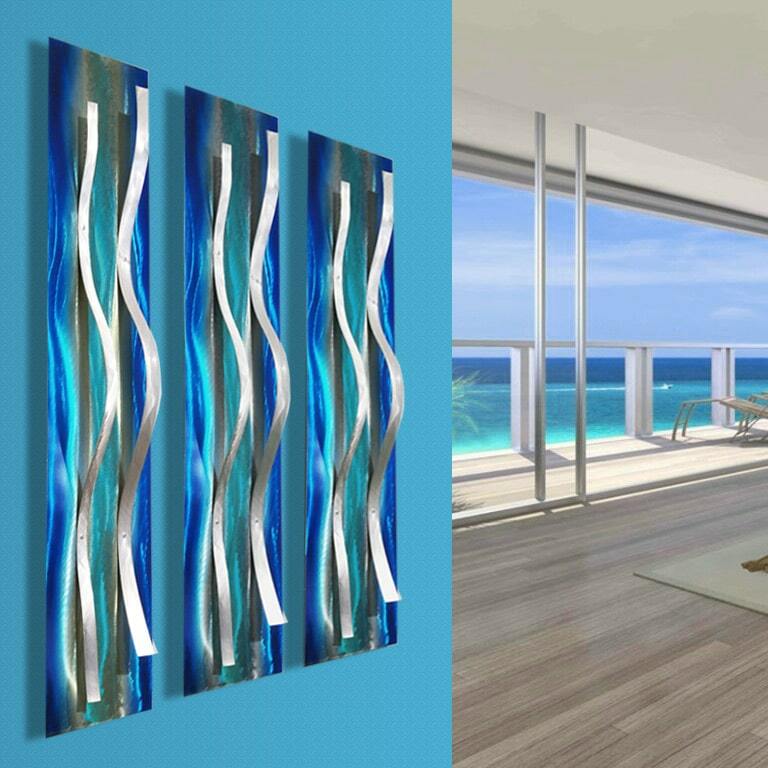 Accordingly, these blue modern colors were selected by the artist to fit the color theme of your space. 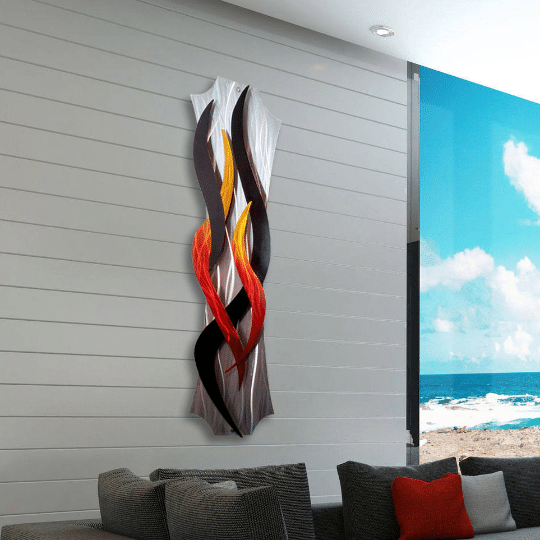 The 3 Tides set is another signature design that can only be purchased direct from the artist.